With the Xstrata takeover done, the market has work to do to get to grips with “Glenstrata”. Valuing the miner-trader is tricky. The shares look cheap, but a big integration looms. A re-rating depends on the trading business proving itself and the board getting governance right. EU antitrust regulators approved Glencore’s $32 billion takeover of diversified miner Xstrata on Nov. 22, all but ensuring that the deal to create a new mining and commodity trading powerhouse will proceed. The approval, conditional on Glencore terminating a zinc sales agreement and selling a 7.8 percent stake in Belgian zinc producer Nyrstar, came two days after Xstrata shareholders approved the tie-up in a close-run vote. 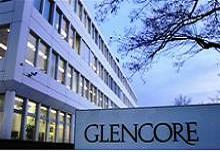 Glencore must still secure approval from authorities in South Africa and China.